SIM-adapter allows you to change the size of the SIM-card. 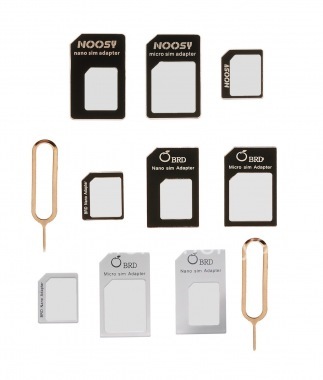 For example, if you are using a Nano-SIM size card, but you need to insert it into a device with a different slot, it will be convenient to use the adapter. SIM-adapters are often sold in sets that contain all the sizes supported by smartphones. You can also see all products of type Tools for BlackBerry. I elula kunazo futhi oluphelele iqoqo adapters! Perfect abanikazi Smartphones eziningana ezisebenzisa ezahlukene usayizi SIM card.